this is beautiful! 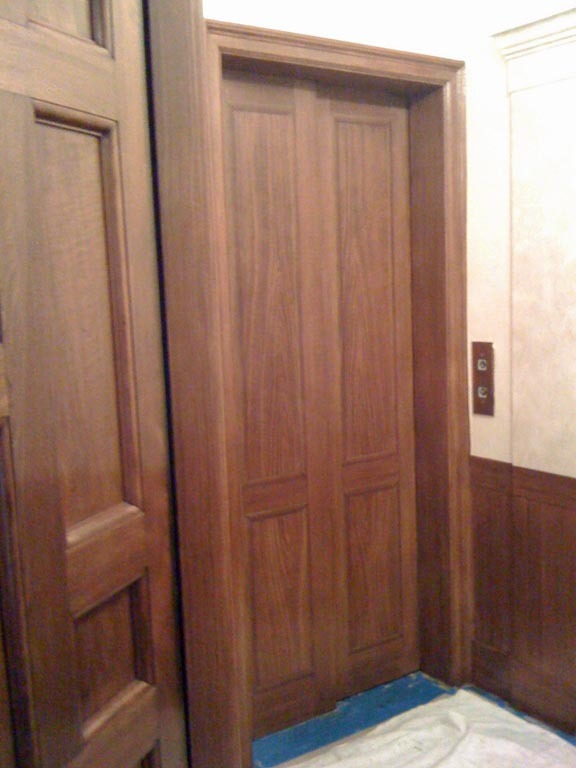 once you broke the steps down, i could look at the door and see what you see 🙂 i love the rosewood too!! Isn’t it cool when you can see the steps? 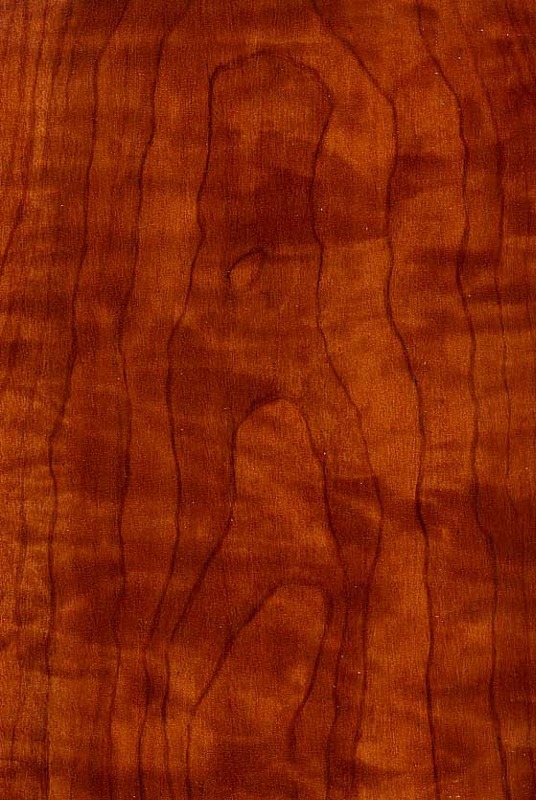 Once I learned that, whenever I looked at wood I’d break it down. It’s kind of fun! You blow me away again – I am just sitting here smiling and shaking my head – fantastic! Thanks! 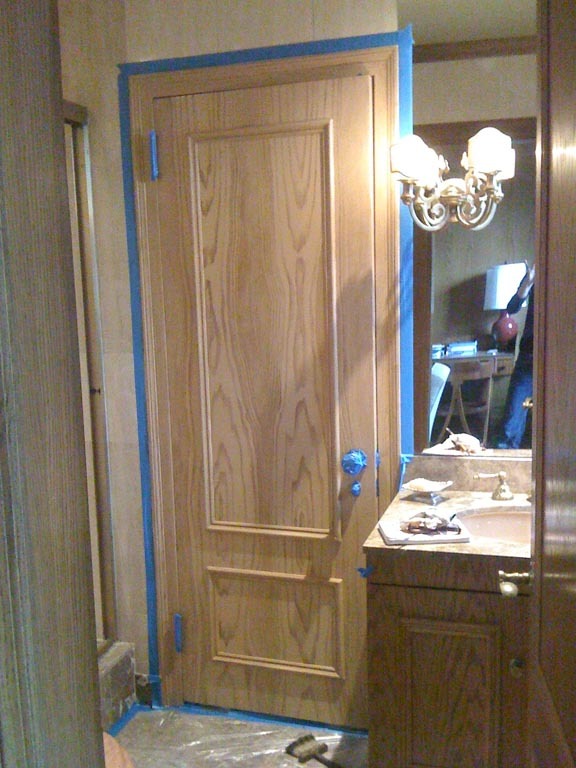 I love woodgraining jobs. 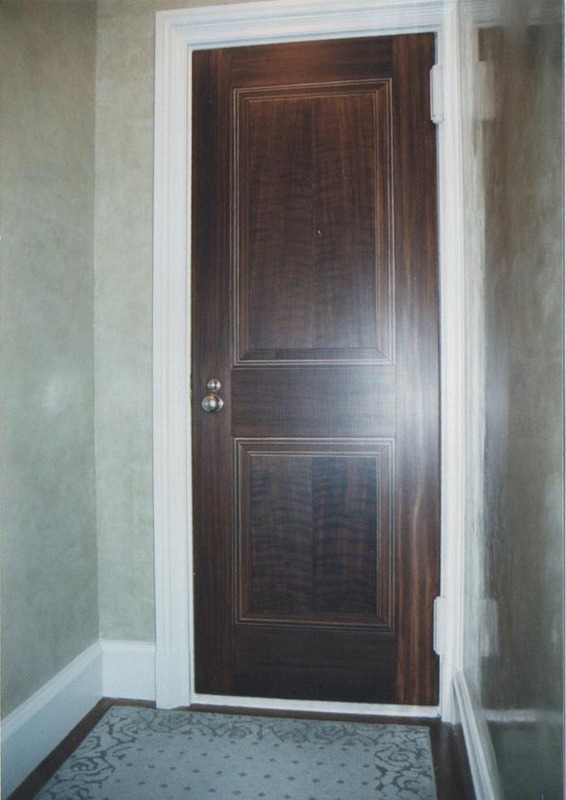 Do you use a rocker tool to get the non linear shapes in the close up pics of the oak and rosewood? No, I don’t use a rocker tool because I don’t have enough control over the pattern. 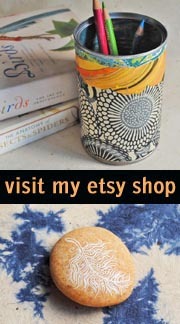 I hand-paint the pattern using a chip brush or a smaller or bigger brush, depending on the wood. If I need to get right back down to the flogging layer, I’ll pull the glaze out with q-tips before softening it all with a badger brush. I learned a lot about how to create the correct figure shapes from Pierre Finkelstein’s book The Art of Faux. Interesting. I will have to try and source the book, or perhaps you will share some more of its secrets with us? Thanks! 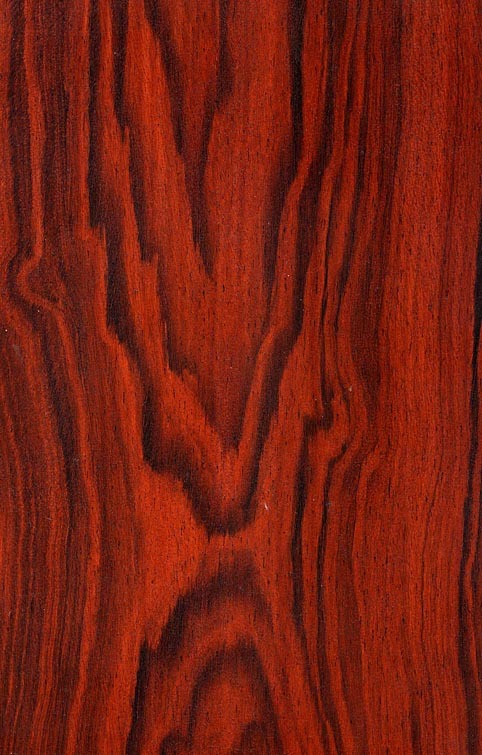 The sad thing is that some of the woods I paint, like rosewood, are painted because they are so scarce that they’re too expensive to buy. 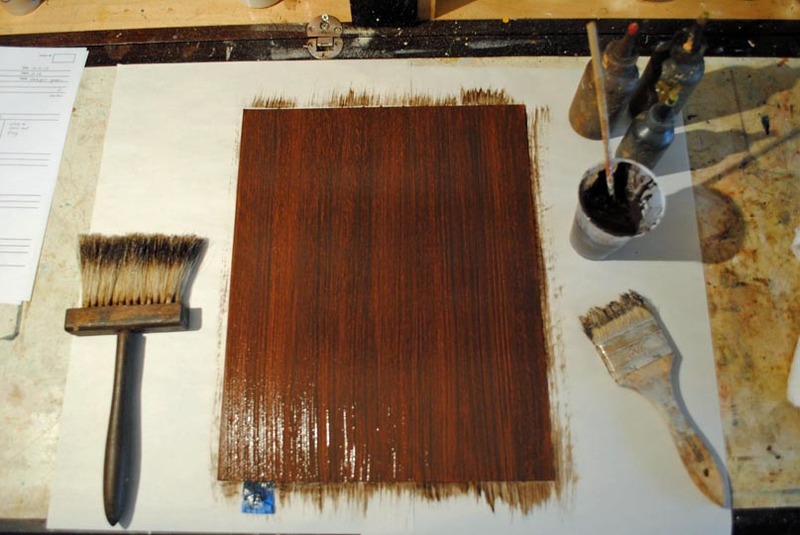 Thank you for your tutorial on wood graining. 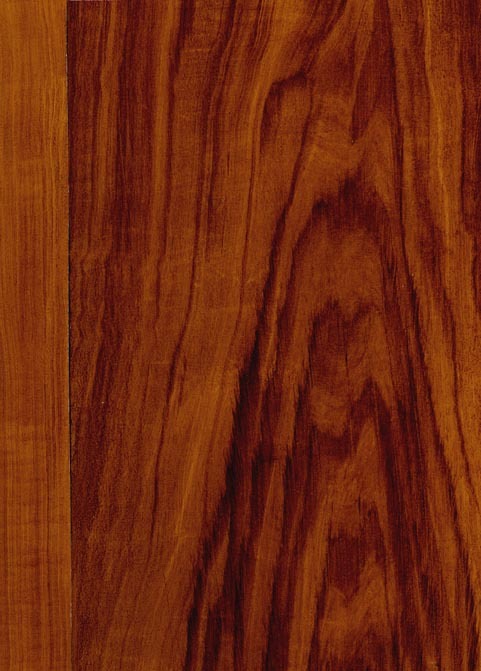 I would like to do maple wood graining but don’t know how. What color should I use for base coat and glaze for the 3 layers, ie. flogging, figuring and over glazing? Also, what tools should I use for each layer? Much appreciate your help. Hi, thanks for dropping by. A great guide for your questions is a book called “The Art of Faux” by Pierre Finkelstein. 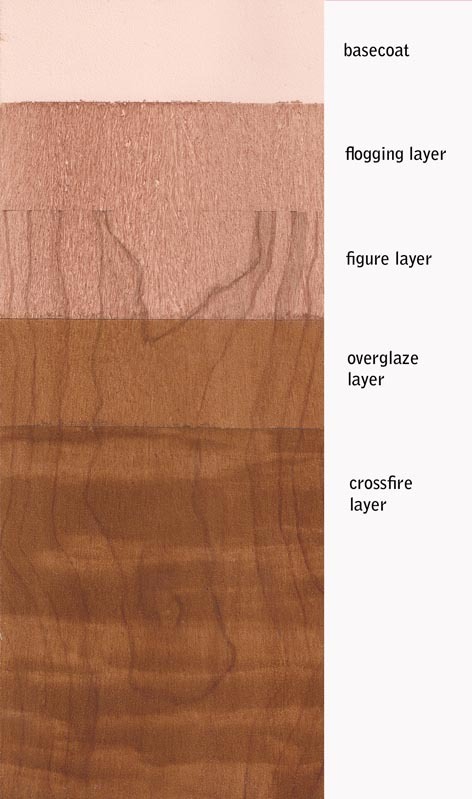 Unfortunately I can’t give you color advice without seeing the actual wood you’re trying to imitate because there’s too much variation in tones. Thanks for your reply. The Art of Faux book is no longer available in my local library; it is claimed to be missing. 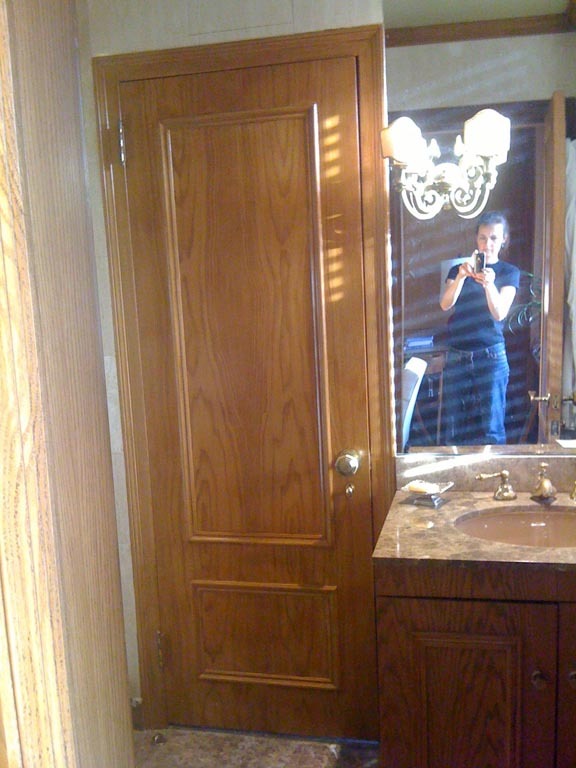 I don’t have an actual wood to copy. 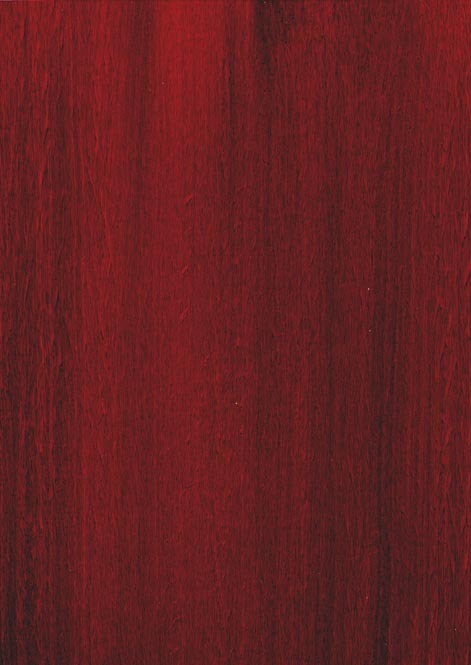 I suppose any maple color for kitchen cabinet would do. What would be your color suggestion for base coat and the 3 glazes? 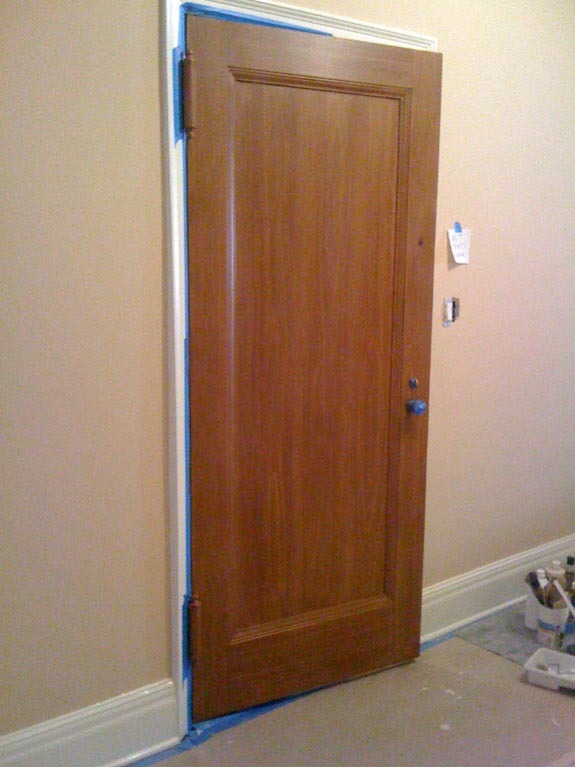 Last time I painted maple I used Benjamin Moore 2160-50 as the base color. 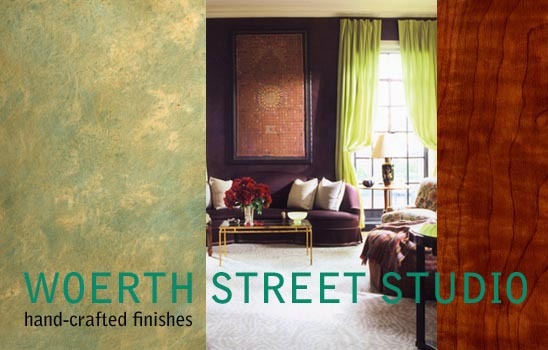 The glazes are all custom mixed using a combination of earth tones, so I can’t really give you a color, it’s a question of looking at the color of each layer and mixing to match it. 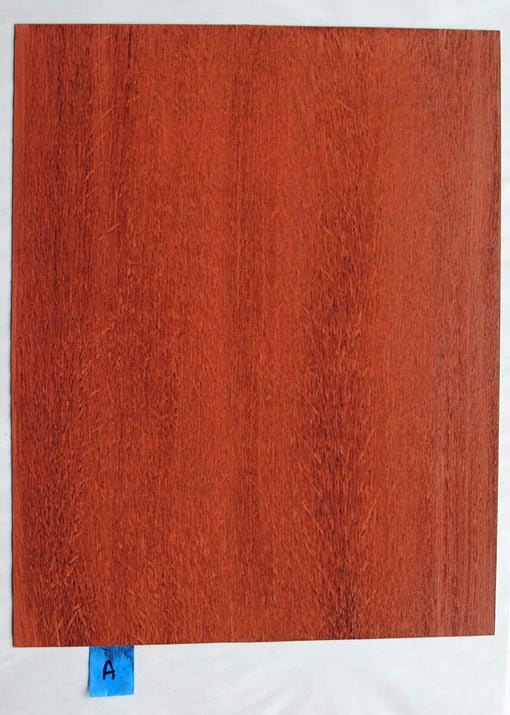 It’s much easier to wood grain if you’re trying to match real wood. Making it up as you go along is difficult because you have nothing to refer to for info about the pattern and color, and the final product is less likely to look real. Thanks for the tip on the base color. 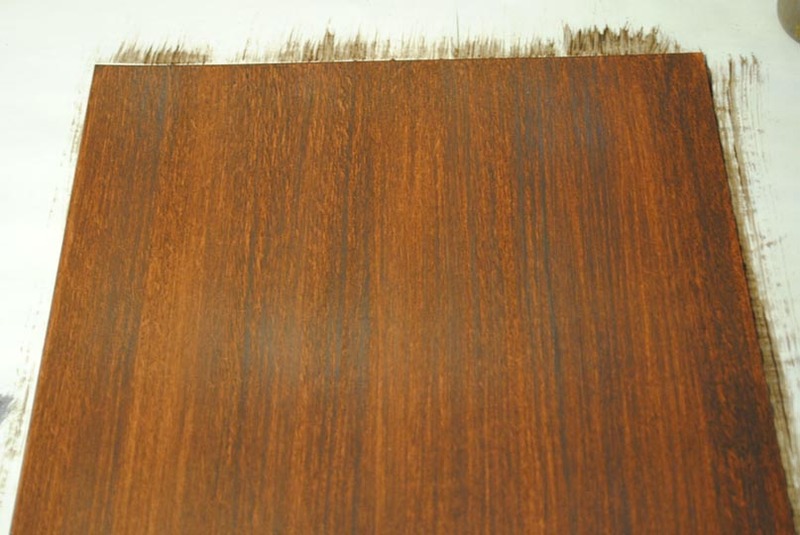 I got myself a paint chip for 2160-50 from BM and I think it’s a good match for the maple I have in mind. 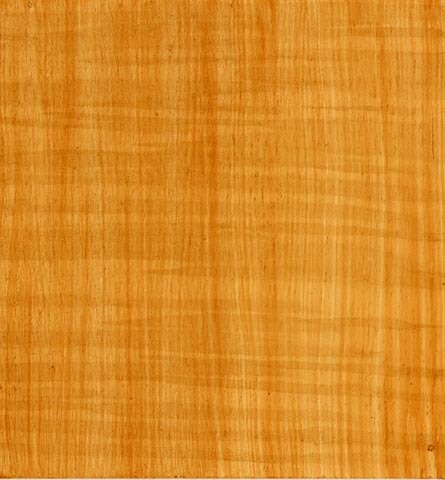 Also purchased a maple veneer to study and practice the graining. The big challenge left would be to get the right color for the glazes. Trial and error will be the name of the game. 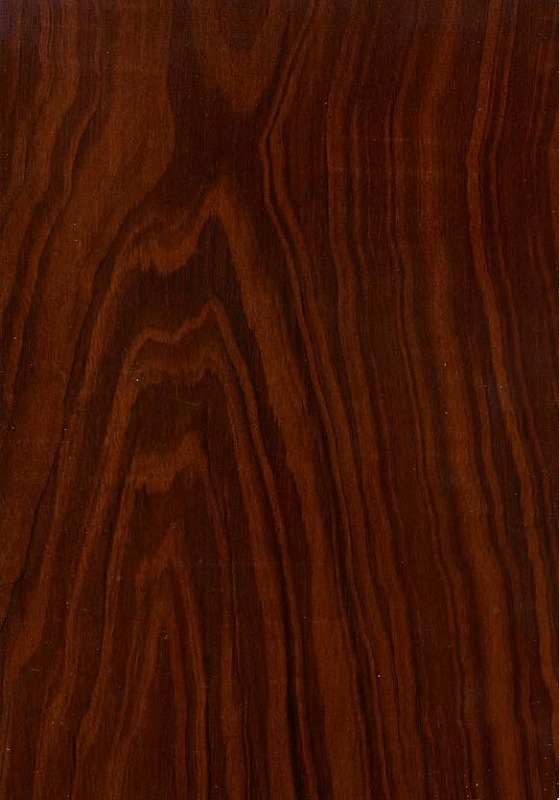 As you have said, anyone can learn wood graining with practice so wish me luck. Great tutorial. 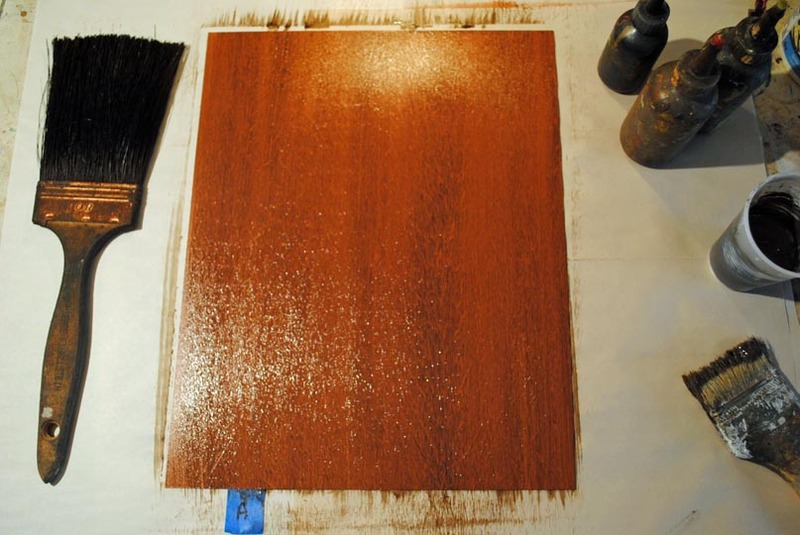 Do you use straight latex paint for each layer, or just the base layer? If the latter, what are the other layers? I’ve tried gel stain for top layer and didn’t like the way it worked for me. Hi, thanks for dropping by. 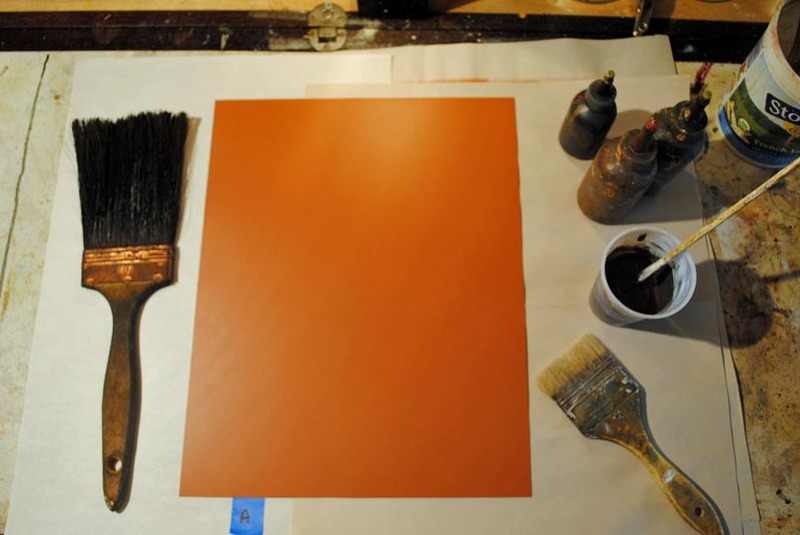 Latex is used only for the base coat. The other layers are painted using glaze which I’ve colored with universal tints, except for the final toning layer, which is created with special water-based colorants. 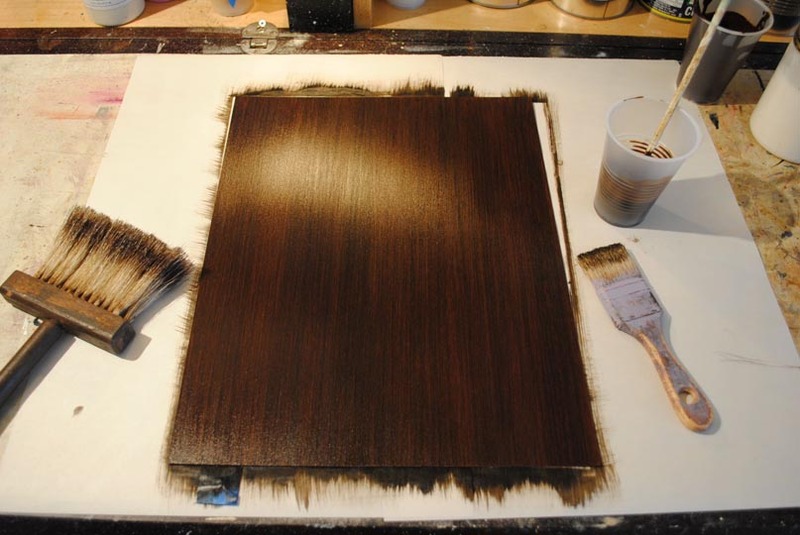 I use products by Faux Effects for wood graining: clear glaze, blender and faux colors in brown, mahogany, van dyke brown and black for the final tone. 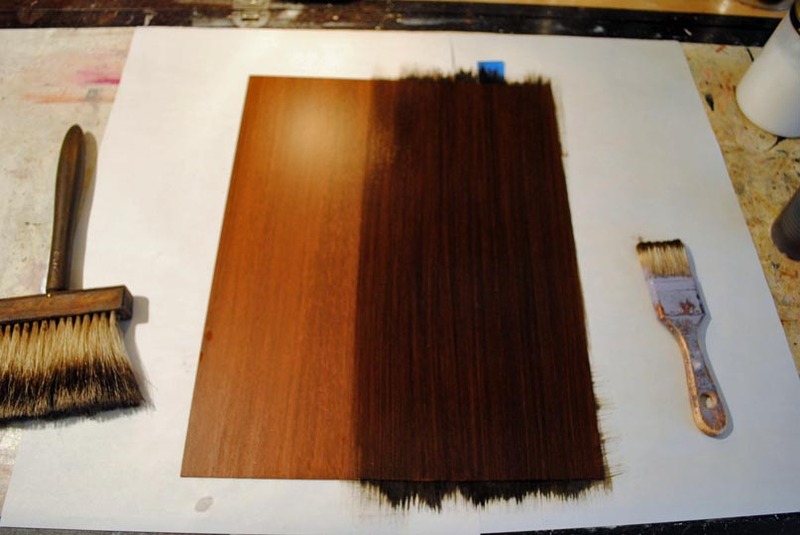 Can you provide the paint colors that you use for the Rosewood faux finish? When you type Flogging brush into Amazon you don’t end up with what you’re expecting.